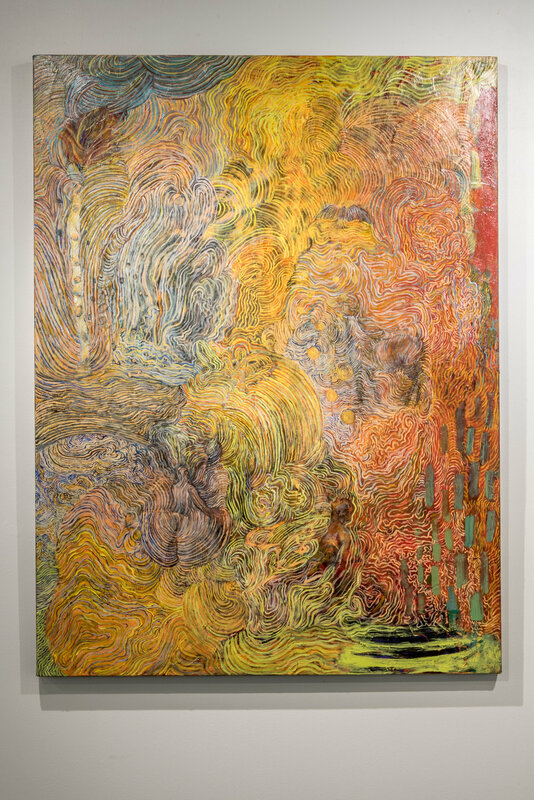 The works in this exhibit were inspired by the legend of the Swamp Witch of Maurepas, a story of loss and redemption. Kate Mulvaney’s life began in Dublin, where her father was a professor of Greek. They left Dublin when he was dismissed from the university for reasons Kate never knew. They migrated to New Orleans; Joe Mulvaney opened a bar. Kate’s life took a disastrous turn when she met Dan Weyman, a disbarred lawyer from Atlanta who still had a wife. Kate moved in with Dan; her father disowned her, and when Dan’s money ran out, Kate took on any work she could get to support them. Dan inherited a diamond mine from an Australian uncle, and left Kate to fend for herself. Small pox left physical scars that, added to the inner ones, made Kate a recluse who her neighbors began to call a witch. A voodoo witch sent her to live with a mulatto woman in Maurepas Swamp, giving Kate recipes for herbal medicines and teas, which Kate traded swamp dwellers for fish and small game. The peace and joy of the swamp increased when she found an albino fawn next to its dead mother. It had six tufts on its head that reminded Kate of wing buds. White Wings became her closest companion until a hunter shot him. Kate felt the shot, the sudden loss. Then White Wings appeared, blood on his chest. He had six white wings, and Kate knew he had come to take them to heaven. As they flew upwards, she thought of her sins, her suffering, and knew that she had been forgiven. James Sinclair was a resident of Centerville, Louisiana. He was pioneer who dedicated his life to what in our time we call the causes of animal rights. His lifetime efforts were explained in a letter to the editor of the Franklin Banner in which he called upon the authorities of his parish to fulfill their responsibilities “to the people, the animals in your care, and, even to yourselves.” He himself fulfilled these moral imperatives all of his life, yet he dismissed them as too few as lifetime efforts, and deemed his life as a failure. Those who deliberately abused animals, whether their own or others, he confronted, and often brought legal charges against them; perhaps one of his greatest accomplishments came when he exposed the animal pound of his town, which he described as a horror. He awakened the town to the cruelty of leaving cattle in the pastures during the cold of winter. He found sanctuary for stray or abandoned cats and dogs on the highways and streets about him. Often ridicule and flippant answers were heaped upon him, followed promises made to him but never kept. He was unvanquished in his ideals and his efforts. 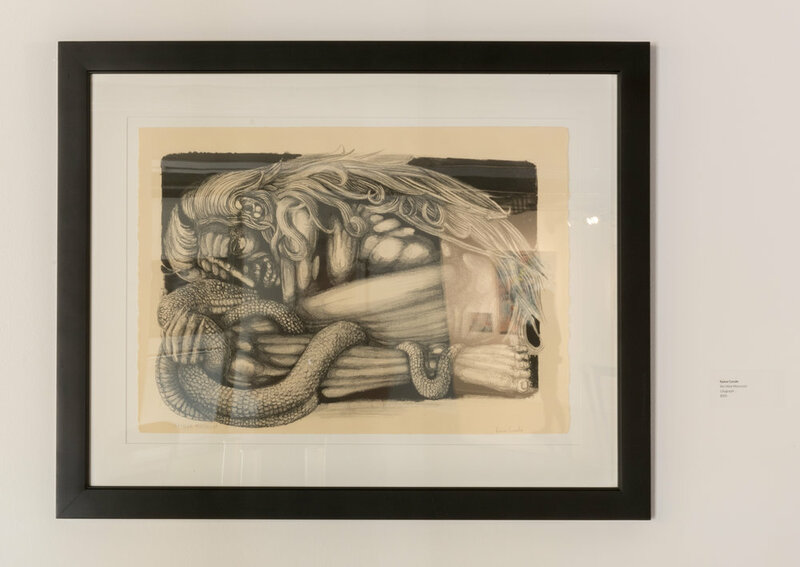 Today we dedicate this exhibition to James Sinclair that his work not only be remembered in the town that he loved so deeply, but that his acts and ideals be continued in the spirit of the great legend of holy sorceress of Lake Maurepas. About thirty-five years ago I suggested to George Rodrigue, of Blue Dog fame, that he do a series of painting on ghost stories of Louisiana. George liked the idea and painted the portraits. Some of the stories were taken from a book which many years ago I had read by Jeanne de Lavigne entitled Ghost Stories of Old New Orleans. 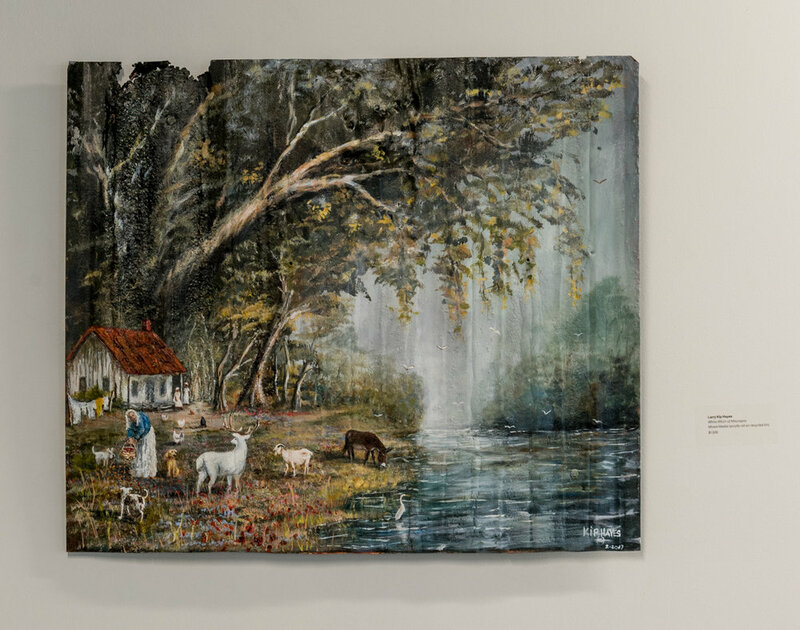 George published a book entitled Bayou in which his paintings often ghost stories were reproduced and accompanied by Chris Segura's rendering of the tales as short stories. 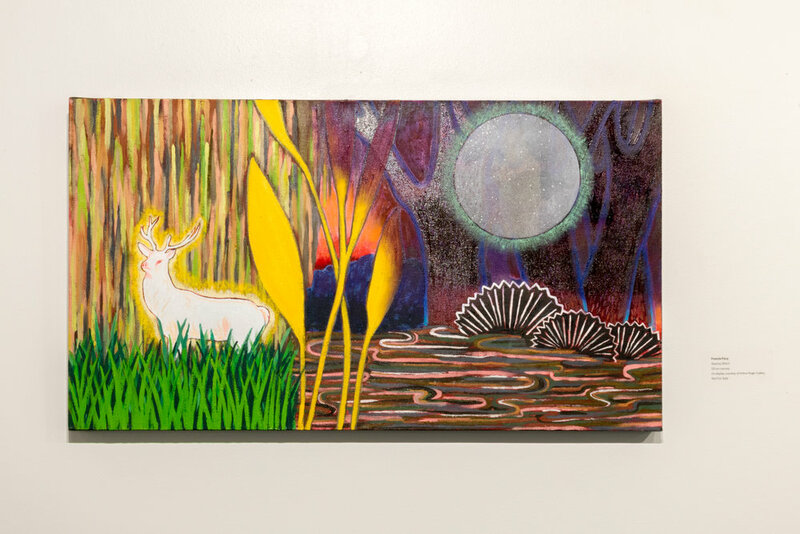 One of the stories I had ask George Rodrigue to paint was an urban folk tale from de Lavigne entitled "The Swamp Witch" which he chose not to do because of a time element. I was interested in the story because I remembered it as it was told to me as a child and young adult growing up in the New Orleans. It is urban legend about the ghosts of white deer and a saintly witch or sorceress who is said to haunt the swamps of Lake Maurepas. It is a narrative of sublime transcendence: nothing of the gothic: no vampires, no decadent Creole aristocrats, no New Orleans ladies to drive you crazy. 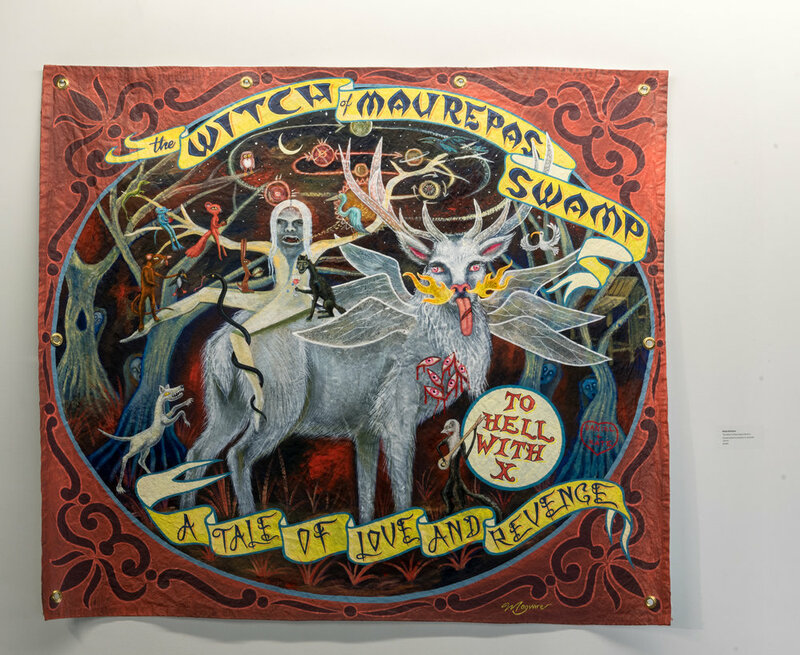 It has stayed with me for years and during that time sought to enlist the talents of artists, poets and writers to “incarnate” in their art the legend of the Witch of Maurepas. It is a story of moral triumph, springing up from the hot and worn banquettes of the cruel and decadent New Orleans. Those artists who were sought out because I knew their works to reflect a command of art that went beyond their achieved craftsmanship. They were invited for the imaginative and spiritual vision which included yet transcended techniques. I may be bold to admit I was "plucky" in my choices. Several months ago, Lynda Frese, herself an artist who enjoys international recognition for portraitures, urged me to bring to completion the project, her advice ended with the imperative words, “now or never.” She recommended two of her past students, young artists of great promise, Jonathon Ahhee and Stevi Latiolais to help me bring the project to completion. Their assistance has been stellar. Without them there would be no exhibition this summer. 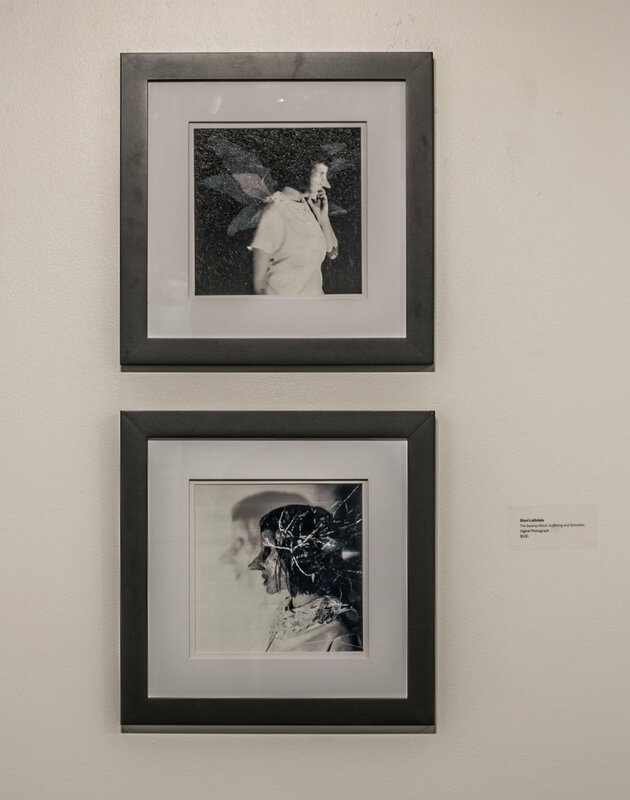 Robert Dafford, Lynda Frese, Larry "Kip" Hayes, Kalli Padgett, Mallory Page, and Sallie Glassman, Linda Dautreuil, and John K. Lawson, all artists of highest distinction, have all graciously accepted our invitation to contribute to this exhibition. 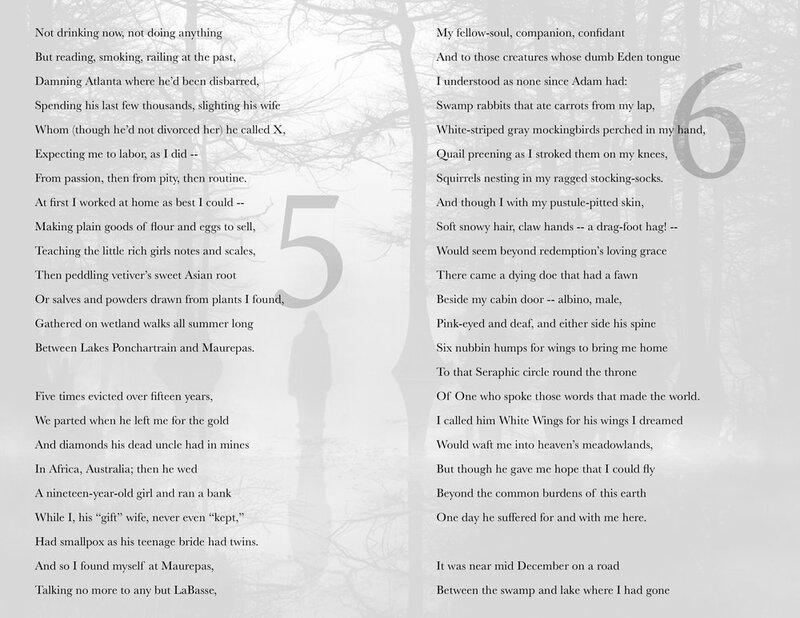 Martha Serpas, David Middleton, and Christine Garren contributed poems giving their renderings of the legend. 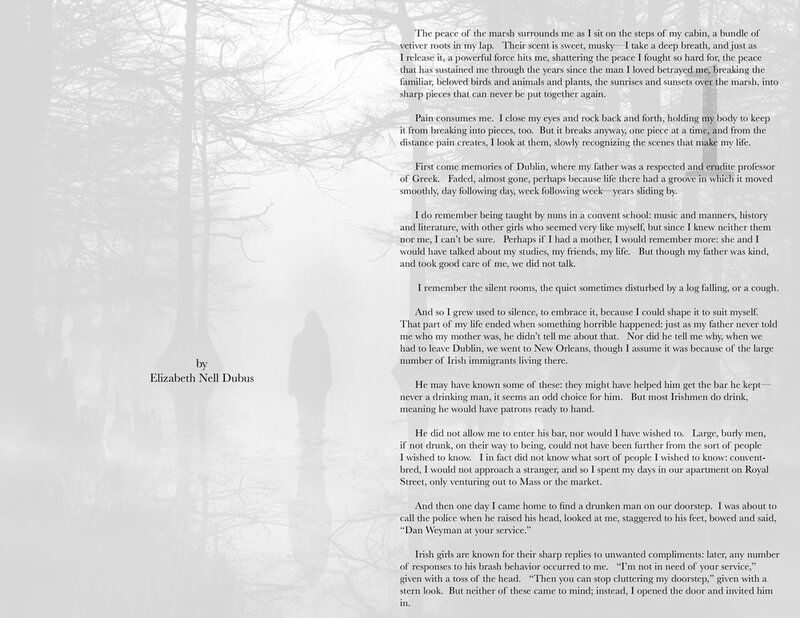 Beth Dubus, novelist, has written a short story drawing on the plot of the tale. Again, all of these artists were selected because they met a standard of the originality and vision in their work.